Last Sunday morning 7th April, thirty three Volunteers turned out for the weekly Litter Pick. With six Transition Year students in this number, all the major routes in Ballincollig were covered. The litter was relatively light and work was made easier because of the fine weather. 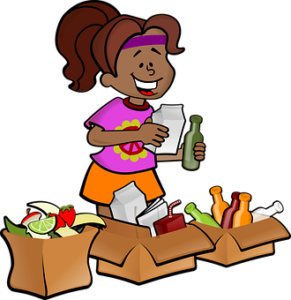 A total of fifteen bags were collected five of which were for recycling as they consisted of glass, plastic bottles and cans. During the previous week Volunteers were active each day and picked four bags in total, two each of waste and of recyclable materials. Among the work carried out during the week was grass cutting. It is so good to see several areas around Ballincollig with freshly cut grass. Projects carried out at the allotment site included sorting waste and turning the compost. During the week the car park to the rear of SuperValu was cleared of kerbside weeds and debris. The finished job looks very well and makes a huge difference. The Group started clearing the base of walls from Poulavone back towards the Town.This work will continue for the remainder of the month. One of the projects for National Tree Week was tree planting at Pairc Cul Rua where Southern Tree Services very kindly donated and also helped us to plant three trees. Another information sign was installed on the Leo Murphy/Link Road. This sign depicts the Ringfort found near the Fire Station and, while the site itself cannot be accessed or viewed at present, the sign gives us an idea of the typical layout. A Trails Audit of the walking routes in the Regional Park took place on Wednesday and we will be processing the suggested improvements during the year. 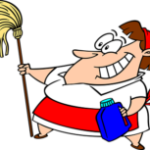 There is a lot of work going on in various Estates with clean ups and grass cutting. The National Spring Clean Initiative runs for the month of April and we again encourage all residents to take the opportunity to clean any remaining weed or debris from the paths and kerbs in front of their properties as well as their usual garden maintenance. Ballincollig Tidy Towns is carrying out a Wash Down Saturday throughout Ballincollig on Saturday 27th April, 2019 from 10am to 2pm. Residents, Clubs, Schools, Groups and Businesses together with Volunteers are asked to come out and support this project as we aim to clean walls, signs, railings, poles, benches and bins throughout Ballincollig. The deadline to enter this year’s National Tidy Towns Competition is fast approaching with a mid-May deadline. We are working on all the usual projects and have several new projects in the pipeline. Images of Ballincollig Past, a new page on our revamped website, is growing in popularity. 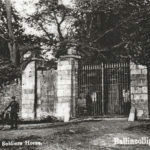 Make sure you visit the website http://www.ballincolligtidytowns.ie and enjoy the many pictures of bygone days. Perhaps you have some long forgotten photographs that you might like to share with the Community. If so email them to us on imagesofballincolligpast@gmail.com. The page is added to daily. We are always looking for new Volunteers to come join us on a Sunday for the weekly Litter Pick. If you are interested in joining us any Sunday, come along to Quish’s SuperValu West End where we meet at 11.00 am for our weekly litter pick. Or, perhaps you could spare some time on one or both of our work nights which will be recommencing shortly now that the brighter evenings are here. If so, please contact us for full details. Our Website is being updated daily with various items of interest with regard to what is being done in Ballincollig. Why not check out the work Ballincollig Tidy Towns is doing with the local Schools, Projects past and present, Information on Biodiversity and Innovative Ideas.